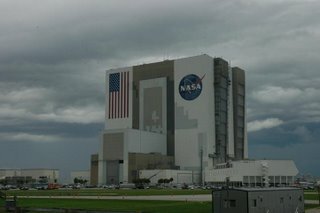 While we were at Space Port, USA (Kennedy Space Center), we were privileged to see a lot. The images that follow are just some of the sights at Kennedy. We had heard that it was "boring" and "not worth the trip." Emily may not have loved it, but Jill and I learned a lot and were impressed with the sights. The first image is of parts of the international space station that are still in construction. 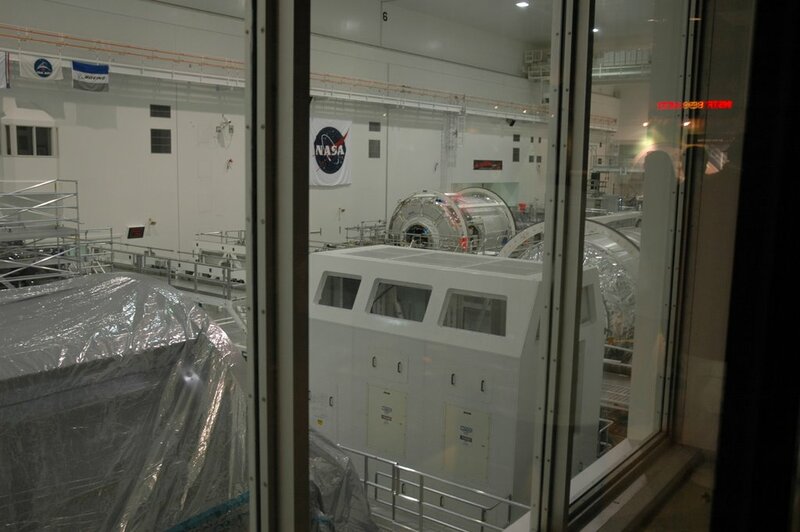 Represented in the clean room are 4 countries and some 15 other international agencies building parts to what will be the international space station. 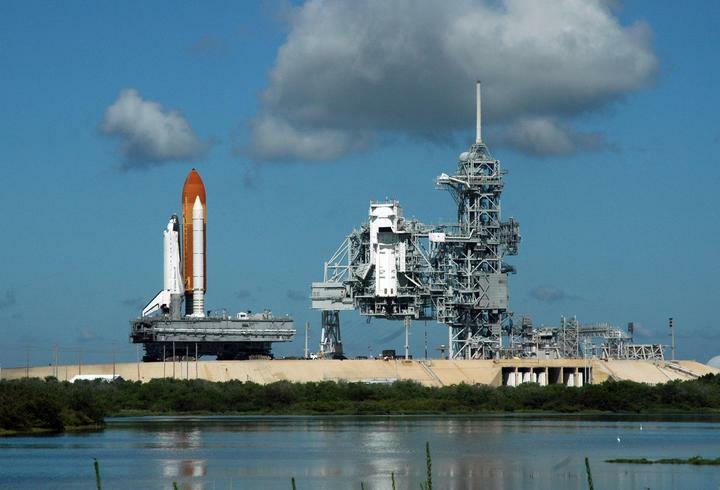 Its completion is expected to be when Atlantis takes the final pieces up in January 2010. There is a contigency to have one more mission, if necessary, in July 2010. Following that, the space shuttles will be retired and the new space vehicle will take over. The next image is of the "crawler" bringing the "stack" to pad 39B at Kennedy. This is Atlantis being taken to the launch pad nearly 3 weeks before launch. Kennedy has two launch pads (39A and 39B). 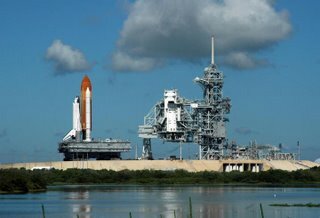 Endeavour will launch from 39A in the early part of 2007. The crawler and stack together weight 12 million pounds. Unloaded, the crawler moves at 2 mph and gets a whopping 42 feet to the gallon (and no that is not a typo, 42 feet to the gallon)! 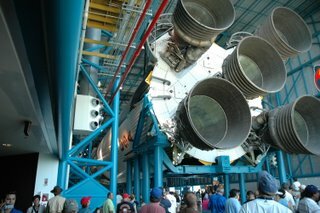 The next image is of the saturn V rocket that was to be used for Apollo 19. Nixon had the programs funding cut before it could be used, but we get to view its mamoth size today in the Apollo memorial bay. The Vehicle Assembly Building was orginally built to house 4 Saturn 5 rockets. 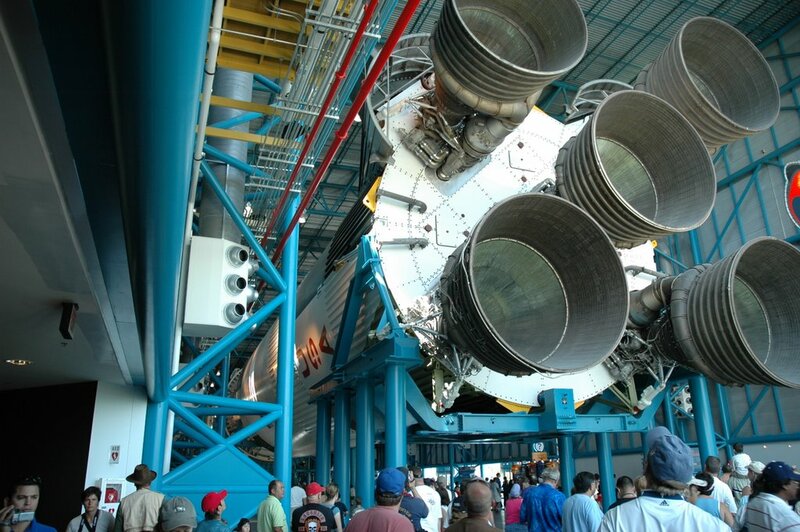 The Saturn 5 was used in the Apollo program. The building is so large that you can take 4 of our statues of liberty and put them inside. The space shuttle "stack" is created inside. Only 3 (or half) of the huge bay doors are even opened. In the rear left of the picture you can see 3 buildings. They are called the orbiter assembly buildings. These buildings are where the shuttles go after they land and before they fly again. 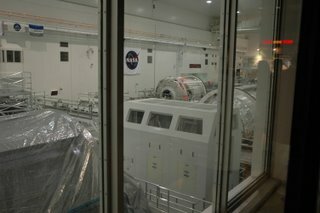 The final image is of some more of the international space station.